A number of Belarusian NGOs have published a report prepared by graduates and experts of the Human Rights House Network’s program “International Law in Advocacy” as a result of a study entitled “Efficiency of the Use of International Human Rights Mechanisms in Respect of Belarus”. The research project was undertaken at the initiative of the Barys Zvozskau Belarusian Human Rights House, the Human Rights Center “Viasna”, the Belarusian Helsinki Committee, the International Consortium “EuroBelarus”, Committee for the Protection of the Repressed “Salidarnasts”, the Belarusian Association of Journalists and the Assembly of Democratic NGOs of Belarus. The study has for the first time analyzed procedures of the United Nations (Universal Periodic Review, special procedures, treaty bodies), the Council of Europe (Venice Commission) and the OSCE (in terms of the electoral process and the monitoring of trials) in respect of the Republic of Belarus for the period between 1991 and 2014. As a result, the experts identified the results, effects and trends of influence of these mechanisms on the human rights situation in Belarus, and provided recommendations to improve the effectiveness of activities by human rights activists and representatives of state and international human rights mechanisms. The study is based on data available from the official information resources of international organizations and the government, the media, as well as on the results of a survey of Belarusian human rights defenders and a national survey carried out by the Independent Institute of Socio-Economic and Political Studies. 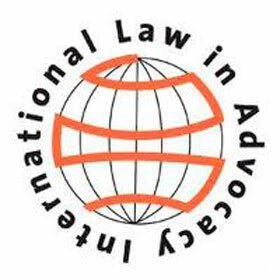 The study aims to contribute to strengthening the capacity of the country’s human rights community, as well as the process of recognition of the need and importance of international human rights mechanisms by the society and the authorities responsible for the implementation of international commitments in the field of human rights.